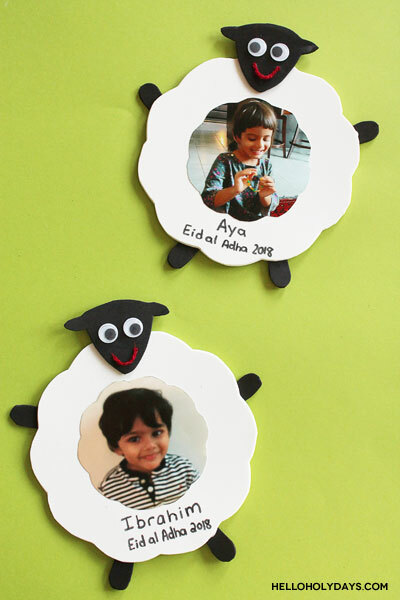 Eid Al Adha Sheep Photo Frames – Hello Holy Days! Love to take pictures of your kids during the holidays? 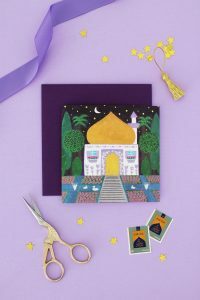 Then, you’ll love this craft for Eid Al Adha photo frames! 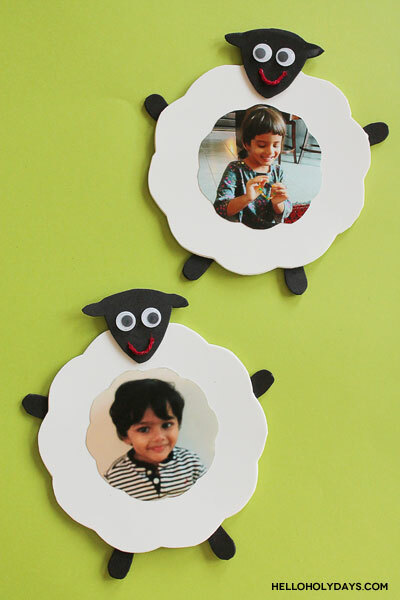 Shaped like sheep, these photo frames are an easy craft for children to make on their own. You can even add magnets onto the back of the sheep for displaying the craft on your fridge. Kids will love seeing their artwork – and their photo – displayed on the fridge and it’s a fun way to preserve sweet holiday memories. To print your child’s Eid photos, I used a “print in seconds” service like the one available at Walmart or at pharmacies. All you do is take your phone’s charger (which is also a USB) and plug in your phone to their printing kiosk. You can print out any photos from your phone right there and then in a matter of seconds for a couple of cents per photo. 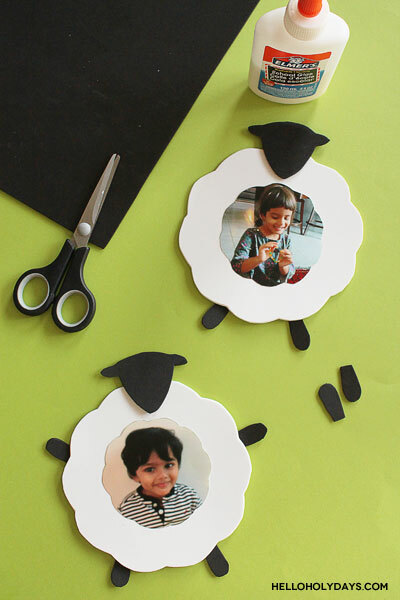 For toddlers, you may also want to consider cutting out all the pieces of the craft in advance and having them simply glue the sheep craft together. 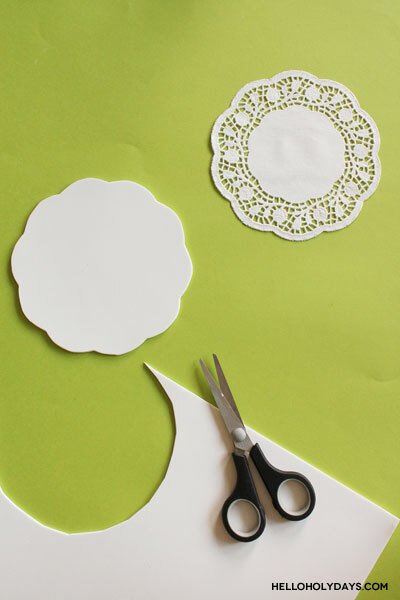 Next, cut out the centre part of the doily. Trace this shape onto your child’s Eid photo. Cut out the photo. 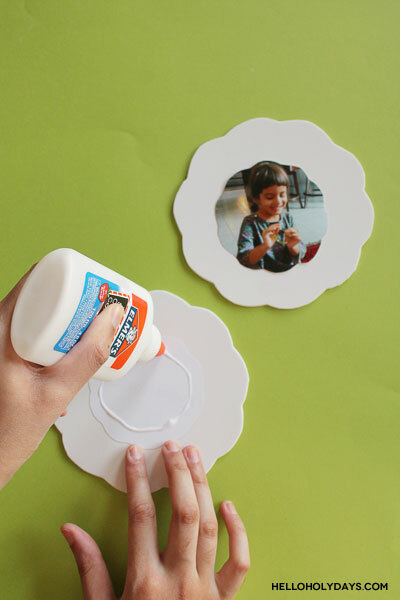 Glue the photo onto the white foam that you cut out earlier. Use black foam to cut out a head shape, legs and arms for the sheep. Glue these onto the sheep. Lastly, add details to your sheep by gluing on googly eyes and a smile. I’m using red yarn for a smile but you can use paper, ribbon or whatever else you have on hand. If desired, add child’s name and the year of the holiday photo to the bottom of the sheep frame. 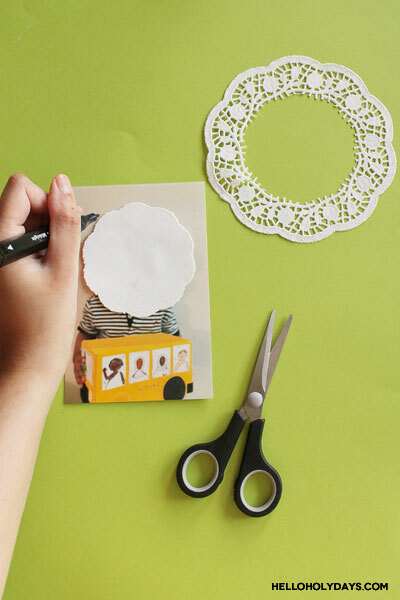 You can also stick on magnets to the back of the frame for displaying on the fridge.